Many members of our community were surprised by the reductions in staff positions that occurred last month. 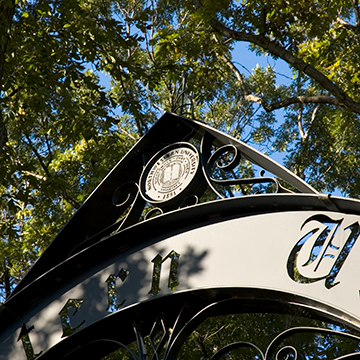 The expressions of concern for our impacted friends and colleagues are a testament to the strong workplace connections that are hallmarks of our Northwestern community. It is in that spirit that I write to share more information on how the impacted staff members have been supported, and to offer thoughts about the road ahead. Learn more about this change and other HR Operations and Payroll changes. The process by which schools and units submit paper forms to HR Operations for processing will change September 1. As of September 1, schools and units will forward completed and signed forms to HR Operations via an online upload. This will replace mailing or dropping off forms to HR Ops offices. The online upload will immediately place requests in the processing queue, while allowing HR Ops to more easily track requests and notify schools and units of progress. Contact Julie Phelan, HR Operations Manager, via email or 847-491-4860 with any questions. Sparkl has been added to the Wildcard Advantage program. Now, with the touch of an app on your smartphone, or through a link on Sparkl's website, you can get your car washed right where it's parked! Sparkl uses biodegradable products rather than water to provide a convenient and eco-friendly solution to this chore. View Sparkl's Wildcard listing.